33” Tall x 16” Wide x 14” Proj. Small Space Saving Pedestal Sink. The Ondine Bathroom Pedestal Sink from Renovator's Supply features a compact design and sleek lines to keep your bathroom spacious and beautiful. 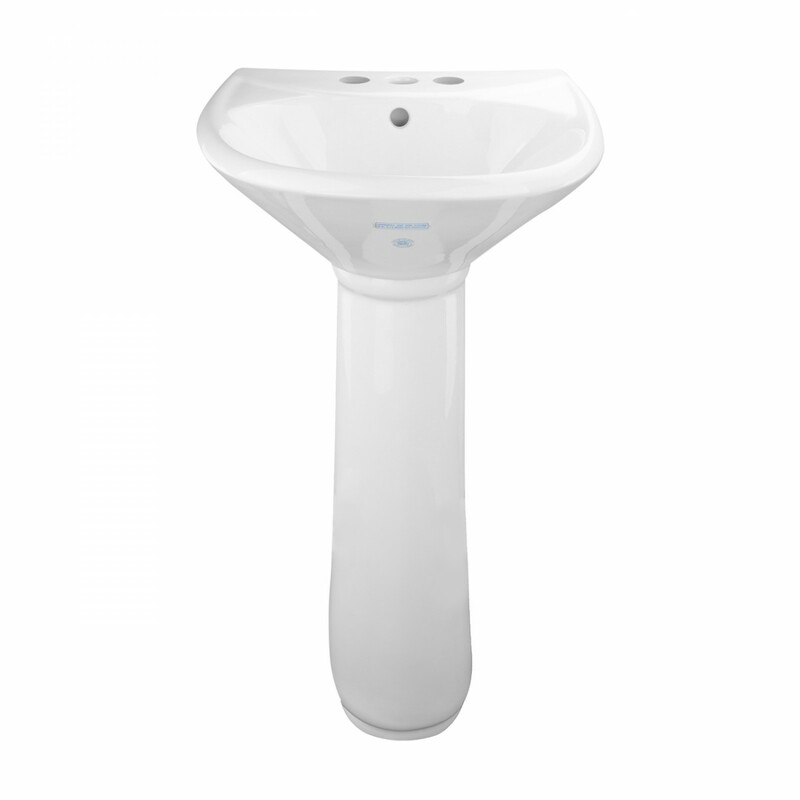 The Ondine is a space-conscious pedestal basin sink. 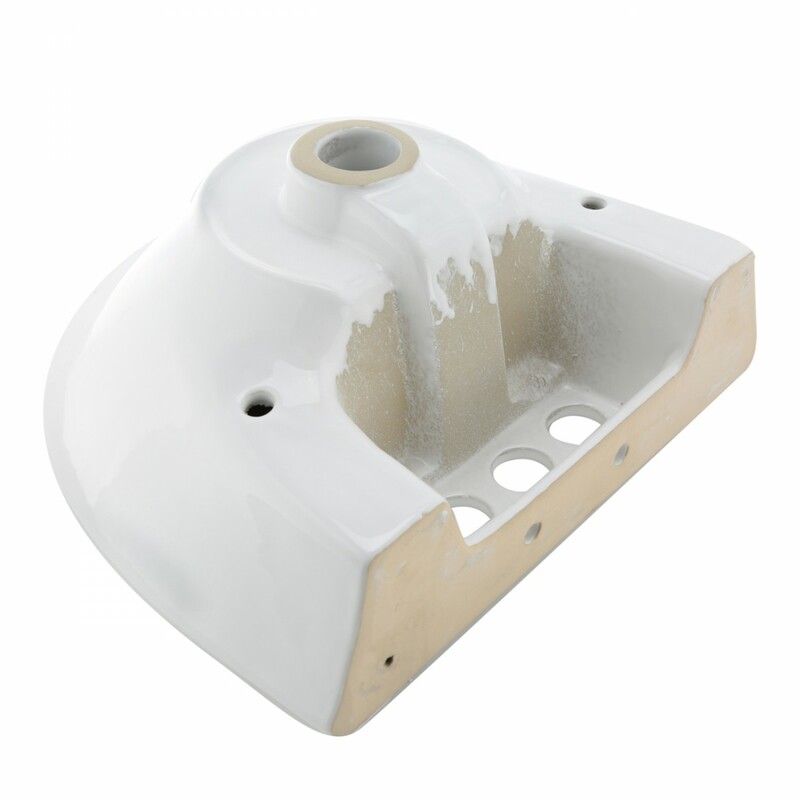 This Open-back bathroom pedestal sink saves space in your bathroom and makes installation a breeze. Constructed from gorgeous Grade A vitreous china porcelain for durability and easy cleanup. - Sink overall: 33 Tall x 16 Wide x 14 Proj. 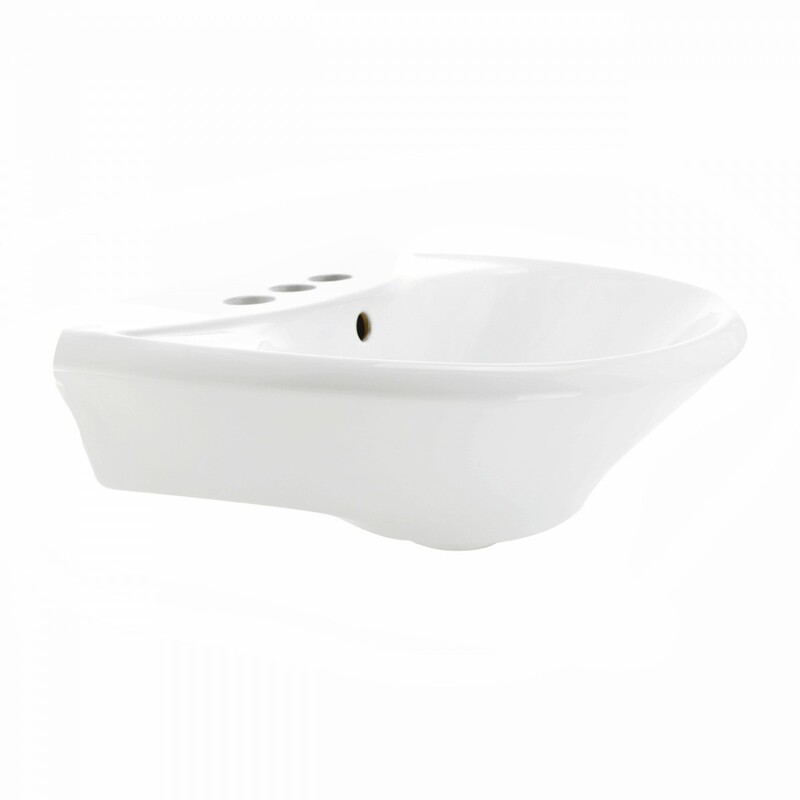 - Basin: 5 Deep x 13 Wide x 9 Proj. Comes with a beautiful space saving and luxurious modern design. Authentic Renovator's Supply logo guarantees better quality than the knockoffs. Ondine sink pedestal sink brings a classy look to your bathroom with its attractive design. At Renovator's Supply, we strive to meet every individual likeness and requirement, be it one preferring an understate look or an ornate look. 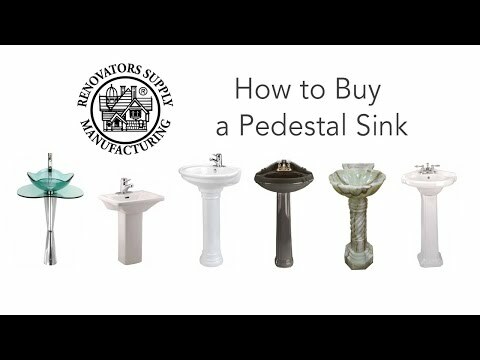 The pedestal sinks can be great alternatives for your bathroom due to their durability and elegant design. The practical design of our Ondine sink Pedestal Sink w/ Logo features a partial open-back pedestal for easy installation of the pipes. 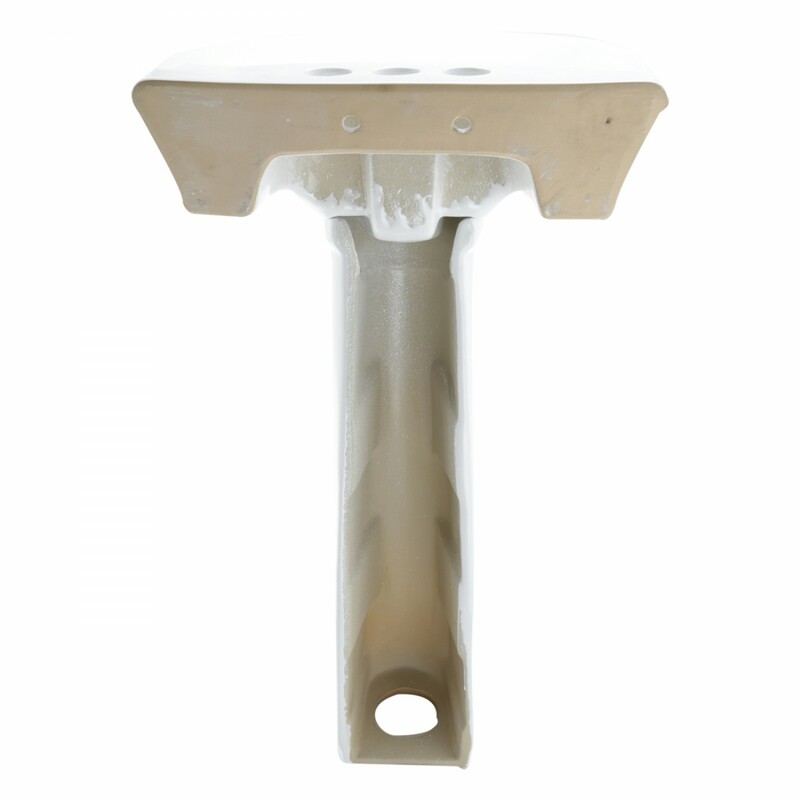 The pedestal is so attractive and durable that usually hides drains. These sinks are manufactured from grade A vitreous China and are quality tested to ensure their durability and performance. 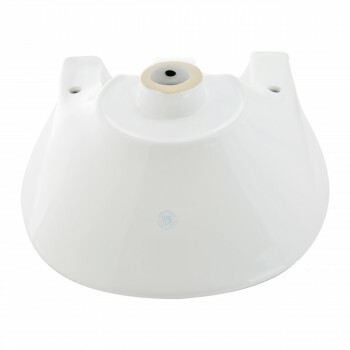 This classic white vitreous china pedestal sinks look great for any bathroom, be it a modern or a period one. The sink can accept drains with overflows made to fit an area of 1 3/4 inches drain holes. 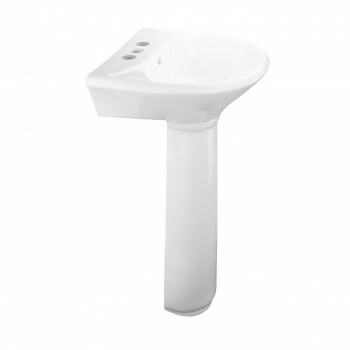 The compact size of the sinks allows it to fit even small bathroom spaces. Looks great in our small bathroom. You can't get better quality for the money. If you are limited in space in a powder room or small bathroom, this pedestal sink is highly recommended. I had a very specifci requirement for a small sink suitable for a small 1/2 bath. This was one of the few options. It works fine and looks good. However, be sure to inspect it upon receipt. It is obvious this is being churned out by the thousands and the manufacturing process is not especially great. Mine had a small spot on one side of the sink that was not completely glazed in white. It was glazes, but the clay color was shoeing through the outer glaze. It was about the size of a pencil eraser head in diameter. It faces a wall where you can’t possibly see it, so I did not ship it back. If it had been on the other side, it would have been noticeable every day and would have driven me nuts, so I would have returned it. Otherwise, it is definitely functional and reasonably attractive. This is the second sink like this we have purchased. Love the size, and the space it allows in a small bathroom. 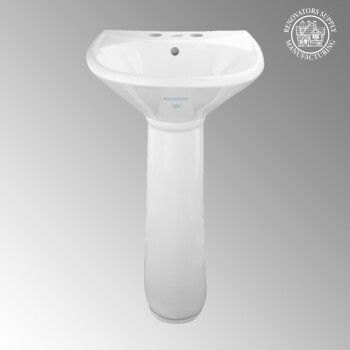 Perfect for washing hands, brushing teeth, or washing face, yet it leaves room to put supplies in a rack in the corner to give you room around the sink. Good quality. Great small sink for cramped spaces. This was a very nice small sink which fit perfectly in one of our small bathrooms. It came very well packaged. Beautiful and simple. 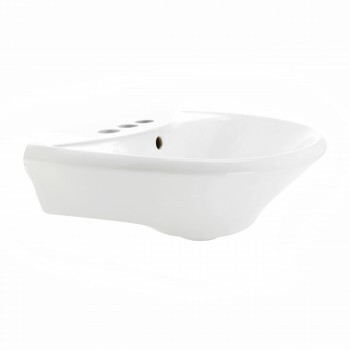 Perfect for our guest bath. Perfect sink for my tiny 1888 farmhouse bathroom! It is the perfect small sink for a tiny bathroom! I needed a sink for my 1888 farmhouse and this sink is gorgeous, fits the decor, and is the perfect size. I am extremely pleased with my purchase and the seller packed my sink perfectly so that it arrived in pristine condition. Like the sink a lot, good quality. Perfect for a tiny bathroom. Would have given 5 stars, but more complicated to install than most pedestal sinks.... Mine didn't come with a wall mount bracket, but it does have two holes in the back where screws/bolts can be installed to hold the sink to the wall. Was a little more work to install it, but I still would buy another one if needed for a small bath. Nice sink if you need one in a small space. It took 3 to get one that was not cracked or defective. The did ship out quickly though. Just the size pedestal sink I needed for our powder room! 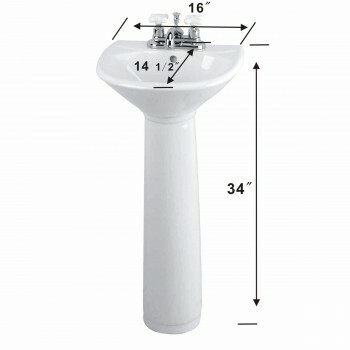 I needed a very small pedestal sink to replace a bathroom vanity in my tiny bathroom that is being remodeled. I love the clean, classic lines of this one. Thank you for fast, dependable shipping, too.